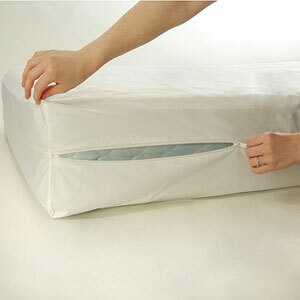 Sanforized Fleetwood Mattress Protector. Made of 100% Cotton Rustproof Zippers. Natural Color. Extra Stitched. Better Housekeeping Guaranteed Product. Available in Cot Size, Twin Size, Full Size, Queen Size and King Size. This Cover will fit up to an 8 In. thick mattress. Other sizes are available.